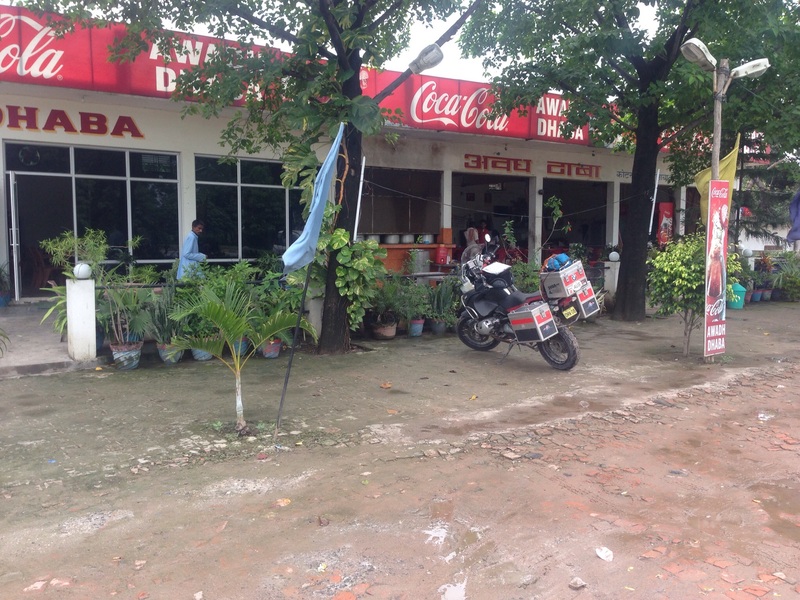 Our ride today was from from Agra to Lucknow and totalled 480km’s in distance and was simply a transport ride together to the Nepal boarder. As usual we stopped at a road side restaurant for lunch, the food was pretty good (local India dish that we can’t remember the name of). Soon after eating the food we looked around to see the dishes that we had just been eating from being washed in a mucky whole…. Lovely! 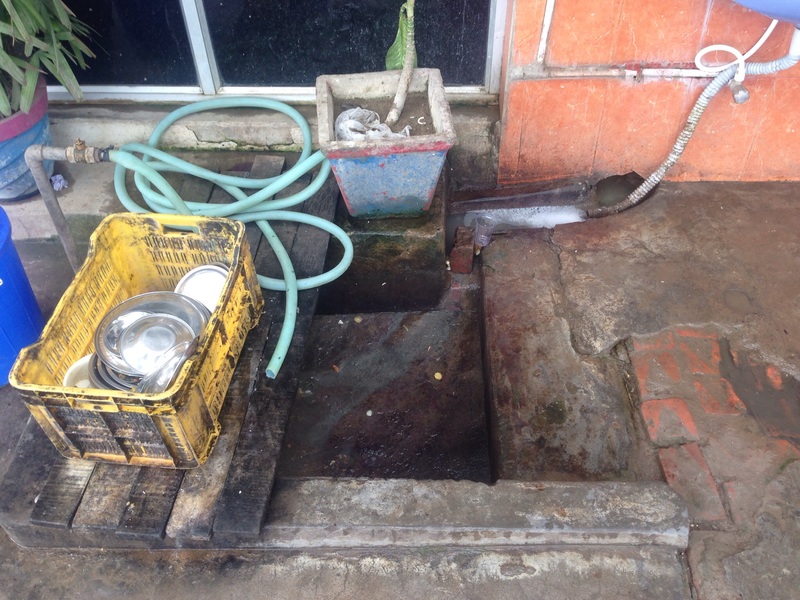 This is where the dishes are washed…. Yuk! Major roads pretty much all the way which was a result, however we missed a turn which resulted us ending up arriving at Lucknow at peak traffic which is a real problem on the big BMW’s. It took two hours to travel 8km. At one of the stops unfortunately Steve dropped his bike when taking it off the stand. Thankfully the locals were there to help and soon got the bike upwright. We had a few heavy showers which resulted in us getting soaked but when temps are in the low 30’s it’s is nice relief. At one stage the rain was so heavy we were down to 60km/h on a major highway. the countryside was very green and we noticed a cart being towed by camel’s which was the first time on our travels we had seen this. For some reason there were a large number of vehicle that took to driving down the wrong side of a dual carriageway, head on into the opposing traffic, rather than sticking to their side of the road. Very dangerous as it would at times have vehicles going in all directions to avoid the idiots. We arrived quite late, around 9:00pm at the hotel which was nice compared to what we had been staying in, but still no wifi.